Because bloggers aren't blaggers! Bloggers support authors in many different ways. Some will only post reviews of the books they loved & contact the publisher with feedback on the ones they didn't. I tend to be one of the bloggers who post all of my reviews, low and high star ratings as I think what one dislikes can be another persons love and snag the sale. I myself have bought a fair few books based on those low star reviews because the things they hated are a huge selling point for me and vice versa. Some will buy a copy or two of most review books they are sent, some buy ones they loved only, some buy finished copies for friends and or themselves, we all do our bit. Being a blogger means we review books we have read and some of us are lucky and privileged to be sent copies to review and advanced reading copies of books before they are available to buy. 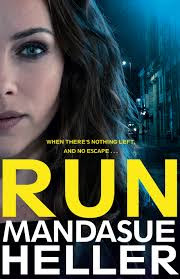 I was sent an e copy of Run by the fabulous Mandasue Heller. So, today I am doing a wee impromptu giveaway of a brand new paperback copy of Run, you can read my review HERE! Mandasue is a great author, gritty crime and her novels are standalones so you can jump right in with her newest release. Her next book is due out December this year or January 2018, keep your eyes peeled for that one. 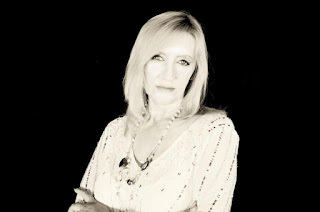 You can find Mandasue on Twitter @MandasueHeller or on Facebook, give her page a wee like CLICK HERE. Here is Princess T posing with the prize. To be in with a chance of winning, as always, just use the Rafflecopter below, as always the more entries you complete the more times your name goes into the draw. 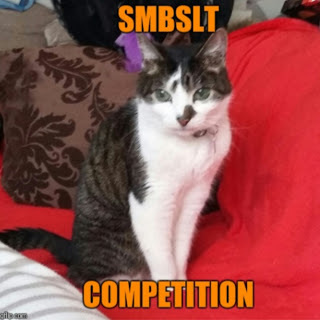 Good luck, this comp is open to all. I have only read her book respect, which I loved, and can't wait to read more. thanks for the chance to win her new book run. Oh nice! I do think I'll have to check out this author. I have a feeling I know someone who would be perfect for this book. No, I have not read Mandasue before. Thank you for hosting this great giveaway! Lainy, I have been away but am back to blogging now. I started out blogging merely as a way to keep a record of ALL the books I'd read and so it seemed only natural that as the blog developed I should continue reviewing all of the books whether they scored high or low for as you say just because we don't like a book it doesn't mean the next person won't love it. No I look forward to reading her in the future as you know so many books so little time. I have to confess I have never read anything by this author, but she is one that my Mum likes, so maybe I'll have to give her books a try. I haven't read any of her books, but they look great.